Newark – On Saturday March 25, 2017 the Newark Police responded to the Tobacco Outlet, 1168 Elkton Road, for a shoplifting complaint. An employee advised that at approximately 2:12 pm the suspect approached the front counter and attempted to purchase two cartons of cigarettes with a credit card, according to NPD Spokesman Lt. Fred Nelson. Helson said that the credit card was declined and the suspect proceeded to grab both cartons of cigarettes, valued at $114.48, and leave the store with them. The suspect then left the parking lot in a vehicle, described as a silver Honda Accord. 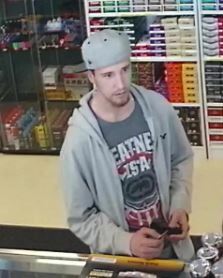 Suspect – white male, 21 – 30 years old, thin build, wearing blue jeans, a gray hooded sweatshirt, and a baseball hat. 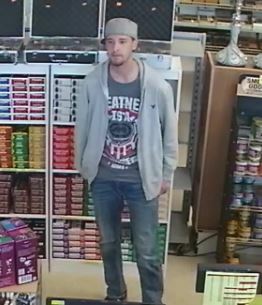 Next Article Do You Know This Klondike Kates Theft Suspect?